The Scottish Government’s Rural Economy and Connectivity Committee has today (Tuesday 27th November) published a hard-hitting report into the wider impacts of salmon farming. The report Salmon farming in Scotland was commissioned to consider the current state of the salmon farming industry in Scotland, looking at opportunities for future developments and how fish health and environmental challenges can be addressed. The Committee concluded that stricter and more effective regulation of the industry was required to improve protection of fish health and the environment. The Committee highlighted serious challenges such as the control of sea lice, lowering fish mortality rates and reducing the sector’s impact on the environment and called for these to be addressed as a priority if continued expansion is to take place. The Committee considered and reproduced strong evidence from many experts and stakeholders supporting a moratorium on expansion but concluded that there was insufficient evidence to support this. Scottish Green MSP John Finnie and Scottish Labour’s Colin Smyth MSP dissented from this view. Nonetheless, the Committee did take the view that no expansion should happen in sites which reported high or significantly increased levels of mortalities until these are addressed. In addressing specific fish health challenges, the Committee noted that while there has been a variety of actions by the sector to address sea lice infestations, there is still not an effective way to deal with the parasite. It was strongly of the view that there should be a mandatory approach the reporting of sea lice infestations. The report considered many of the issues raised by OneKind in two fish welfare reports published this year, such as sea lice, gill health, mass mortalities, predator control, and the need for an urgent assessment on the use of cleaner fish. OneKind was pleased that the Committee supported the use of physical barriers to keep seals out of cages, rather than seal shooting or acoustic deterrent devices which have adverse effects on cetaceans. OneKind would have preferred to see greater emphasis placed on the welfare of both salmon and cleaner fish but acknowledges that this was not part of the Committee’s specific remit. One of OneKind’s main animal welfare recommendations was for a moratorium on plans to expand the salmon farming industry. 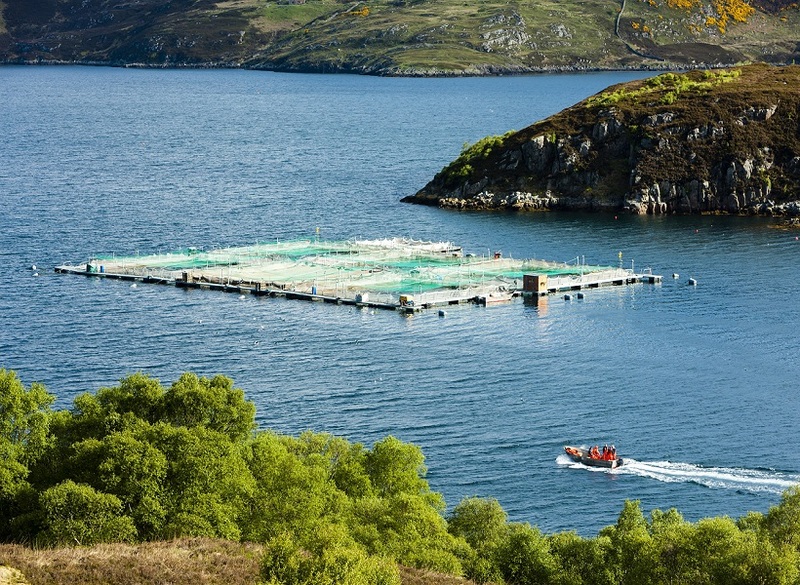 Earlier this year, OneKind alongside Scottish Salmon Think-Tank, Save Seil Sound and the Salmon Aquaculture Reform Network Scotland (SARNS) called for a halt to plans to double the industry by 2030 until welfare and environmental concerns are addressed. “There are clear gaps in our knowledge surrounding cleaner fish on salmon farms, so we’re pleased to see the Committee take on board some of our concerns while also recommending further assessment of their use. “However, what we do know is that there are numerous animal welfare problems which can affect cleaner fish including high mortality rates, escapes, the need to provide supplementary food and shelter and health problems, all of which need to be urgently addressed.